Birmingham is a booming city. Hence, moving to Britain’s second largest city would be ideal. But before packing your things and calling for a mover, you should know a thing or two about hiring one. Hiring a man and van London to Birmingham can be easy as there are a lot of movers that you can hire. But, ensuring that you are hiring the right one can be a bit of a work. But it is important to ensure a smooth and hassle-free move. Here are some things that you need to know and remember before you start dialling movers’ phone numbers. Before you start asking companies for a quote, it is important to know how much the current rate is to keep yourself from getting overcharged when hiring man and van London to Birmingham. Once you notice that a company’s rate is beyond average, move on. But do not jump on prices that are too good to be true. Ask for a quote then ask why the price is too low. If the answer sounds doubtful, find another one. Ask how the company computes the fees so that you can compare which ones charge the cheapest fees. Some charge by volume while some charge by weight so it is important to ask this in advance before agreeing or committing to anything. 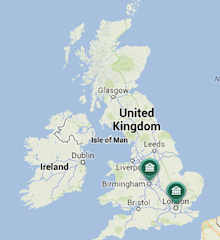 There are a lot of man and van London to Birmingham companies that are listed on review sites. Look for these sites to see which ones are reputable and which ones are not worth your money. Contacting the reviewers is a great way to confirm whether a review or rating is authentic or not. It will also be a good idea to ask a few questions to the reviewer about the quality of service the man and van service offers. When hiring a good man and van London to Birmingham, it is important to know whether the company is familiar with the place you are moving to. Ask whether they have already assisted someone in moving to Birmingham so that you will know if they know the area. Being familiar with the place will prevent the driver from aimlessly wandering around town, trying to find your address. This will make your move faster and easier for everyone.